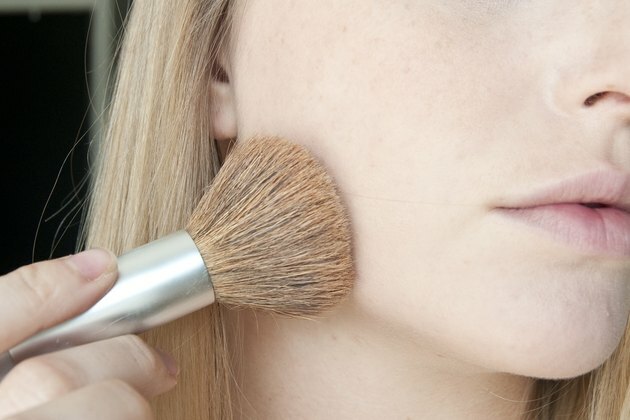 Clogged pores are caused by a buildup of oil, bacteria, tiny hairs and dead skin cells. Pores on the face, back, chest, neck, arms and legs can become clogged -- and they're especially stubborn on the nose because the oil-producing glands in that area are very active. With proper care, you can keep clogged pores at bay and prevent severe breakouts. 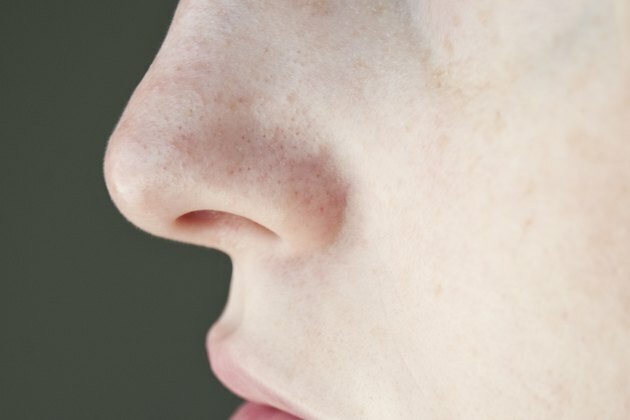 If the clogged pores on your nose worsen, blackheads develop or your skin is irritated and painful, discuss the matter with your physician. Wash your face and nose regularly with a gentle pH-balanced cleanser. Alternatively, cleanse your face with products containing alpha hydroxy acid, which will prevent the buildup of dead skin and bacteria. Avoid excessive rubbing, scrubs and exfoliants, which can irritate the skin and stimulate the production of more oil. 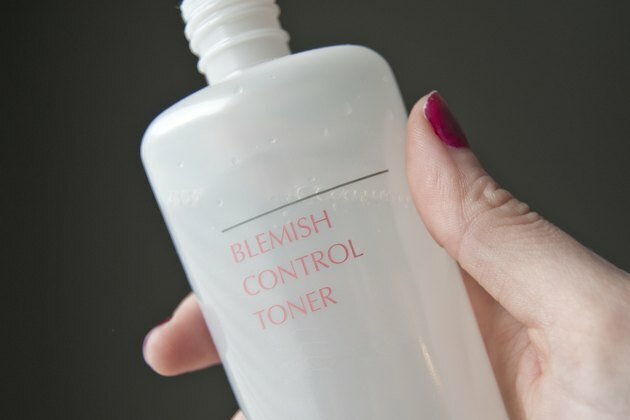 Smooth an oil-free toner or clarifying lotion over your nose with a cotton ball or cosmetic pad if your skin isn't sensitive, advises University of Utah Health Care. Apply an oil-free moisturizer if your skin is sensitive or dry. Pull oil and debris from your pores with over-the-counter pore strips. Only use the products as directed, as overuse can irritate the skin. Apply makeup sparingly. Use oil-free cosmetics and skincare products marked "non-comedogenic" or "water-based." Keep your hands away from your face and nose, because they can transmit oil that clogs the pores. Avoid picking or pinching clogged pores, which can damage the skin.